There is an old Swahili saying, “Jikoni ni sehemu ya mwanamke” meaning “the kitchen is the place of the woman”. The more time we spend on the ground visiting the villages, the clearer it becomes. In every home we meet incredible people who are caring for and cooking for large families. These people in particular women have spoken about the positive impacts our stoves have had on their lives, and even on the lives of their young girls who would otherwise be out in the field collecting firewood. Jumma’s Story, Time to be a kid! Recently however while working in Maungu Village, we stumbled across a household that is a little bit different from most of the houses we have visited in the past. 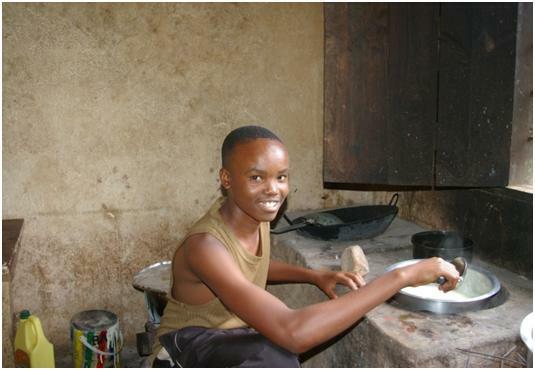 This household and kitchen is cared for by Jumma Hussein, an 18 year old boy. Jumma is a real inspiration, and we would like to share his story with you. Jumma lives in a 2 bedroom home, with his 5 siblings and his ageing grandmother who is unable to look after the homestead. As the first born, when his parents moved to Voi (the nearest town) to seek employment they left him in charge of the home. 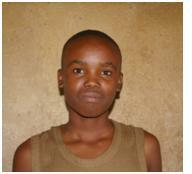 Jumma has been caring on his own for his family since he was sixteen. Jumma is only 18 and has been burdened with the responsibility of looking after his entire family. Often, social conditions can strip the youth in Africa of their childhood and force them into taking on certain responsibilities much sooner in life. Jumma never once complained that he had to do this. But, watching him cook his grandmother’s porridge and then go and sit with his friends under a tree, laughing and joking like a regular teenager brought smiles to our faces. It was another example of how the impacts of our projects go beyond just carbon saving. Today we helped a kid just be a kid.